ScanPro is an asset and infrastructure monitoring business based out of Brisbane, Australia. We offer a nationwide service providing detailed infrared thermal imaging inspections and reporting to a variety of sectors including: insurance, electrical, manufacturing, transmission, building management and renewable energy industries. We conduct non intrusive infrared thermal imaging analysis, data acquisition and reporting for a range of applications. We work beside skilled structural and electrical engineers to help capture the results they need. ScanPro also conducts a wide range of UAV, (Unmanned Aerial Vehicle), services to multiple sectors and understands our role in all situations. Using a solid approach to safety learnt from skills, acquired over 16 years work in Electrical and Construction, and backed with the use of professional certified CASA operators we are building a healthy reputation in the flourishing UAV industry. Structural and civil photography of bridges, silo, pipelines, buildings and hard to reach locations. We provide high quality, high resolution photography and 4k video and use the best in Infrared sensors. We can create detailed reports on all our findings and work closely with engineers and technicians to locate faults or points of interest and capture the data they need to help solve problems. ScanPro’s skills stem from a background in Electrical, Construction, Renewable Energy, Film/Photography, Engineering and Infrared Thermal imaging. We have pulled all our skills together to offer a cost effective, interesting and innovative approach to problem solving. We help our clients look at things from a new perspective! We use the latest UAV multi-rotor and fixed wing drones with accurate sensors. ScanPro look forward to working with new clients and expanding our growing drone asset monitoring services. Luke Magon is the founder of ScanPro. He has been involved in the electrical industry for over seventeen years, and is passionate about developing innovative problem-solving techniques. Luke has significant experience in the solar industry, acquiring Clean Energy Council accreditation in 2011, and has installed over 150 grid connected systems for clients such as Origin Energy, Infinity Solar, and O’Donnell Griffin. Luke has a passion for photography and experiment with camera technology – and his interest in this hobby led him to obtaining a level one infrared certification in 2010. He recognized the value provided by non-destructive fault-finding techniques and wanted to be able to provide an inspection service based around this methodology. Luke established ScanPro – Asset and Infrastructure Monitoring in November 2012, to complement his existing electrical contracting business – there was an opportunity to supply Australian clients with an on-site testing service specially catered to fault finding and quality assurance. In 2014, Luke studied in one of the first UAV drone courses offered in Australia. He acquired his sub 7kg multirotor licence through the Civil Aviation Safety Authority with the vision of supplying the solar industry with an aerial based testing and inspection business. ScanPro has since grown along with Australia’s solar industry demands. Gordon Cameron is an electrical engineer, and has worked in the electricity utility industry for over ten years. 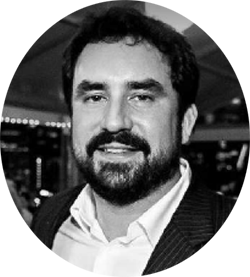 He has significant experience in distribution network planning and operations, and over the last few years has taken an interest in the renewable energy industry, specifically the effective integration of distributed generation with the grid. Gordon joined ScanPro in 2017, recognising the opportunity to become part of a rapidly growing industry, and being able to help customers get value from the introduction of clean, renewable energy sources. 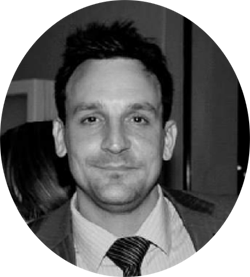 Director, Luke Magon, has over five years experience in assessments and completed Level One infrared training with ITC in 2010. Luke is a member of ATA and AUSPTA infrared associations along with many other thermographers and is currently assisting Standards Australia to help build regulation to the thermal imaging industry. ScanPro has a strong five-year background in Solar PV including installation, design and consultation. We have acquired Clean Energy Council Solar PV Accreditation and are a proud company member of Clean Energy Council since 2013. Director, Luke Magon has also completed a Diploma of Renewable Energy Engineering in 2010. Director, Luke Magon, has acquired his multi-rotor License in Perth 2014 holds type training for the CyberQuad Maxi platform and is in the process of completing type training on a number of DJI platforms. ScanPro is currently in the process of acquiring its Operators Certificate through the Civil Aviation Safety Authority. ScanPro has been actively involved in the growing UAV industry since 2013 and with the help from experienced operators has conducted a number of UAV operations. From the age of 15, Luke was interested in film and photography and in 1995 commenced a Cert III in Photography. After completing these studies he worked for the Seven Network and during the same period worked with Steel Stem Poppy Productions as an assistant on film sets. Luke has been heavily involved with the building and construction industry for 15 years as both an Electrician and Electrical Contractor since 2000. He has worked in Spain, England and Australia. ScanPro has the ability to leverage relationships with a variety of engineering consultants who can bring over 30 years experience in Civil Engineering, Electrical Engineering and Distribution and Transmission Networks. In the past two years we have utilised these relationships to provide assistance with our services to Government, utilities and insurance. Director, Luke Magon, holds a structured open cablers license through ACMA. He has helped build high speed data networks in London, England and throughout Brisbane, Australia. Luke has over 15 years experience in the electrical trade. He holds an open Electrical fitter/mechanic License and an Electrical Contractors License. He has worked on small, medium and large sites in Spain, England and Australia.